As we age, the capacity of our stem cells to heal and replace damaged cells and tissues decline. This age-associated decrease in adult stem cell function seems to be a major contributor to the physiological decline during aging. A new paper, by Efstathios Gonos and his colleagues at the National Hellenic Research Foundation in Athens, Greece gives one possible technique that might improve the function of stem cells in an aging body. Cells contain a multiprotein complex called the “proteasome” that degrades unneeded or defective proteins. 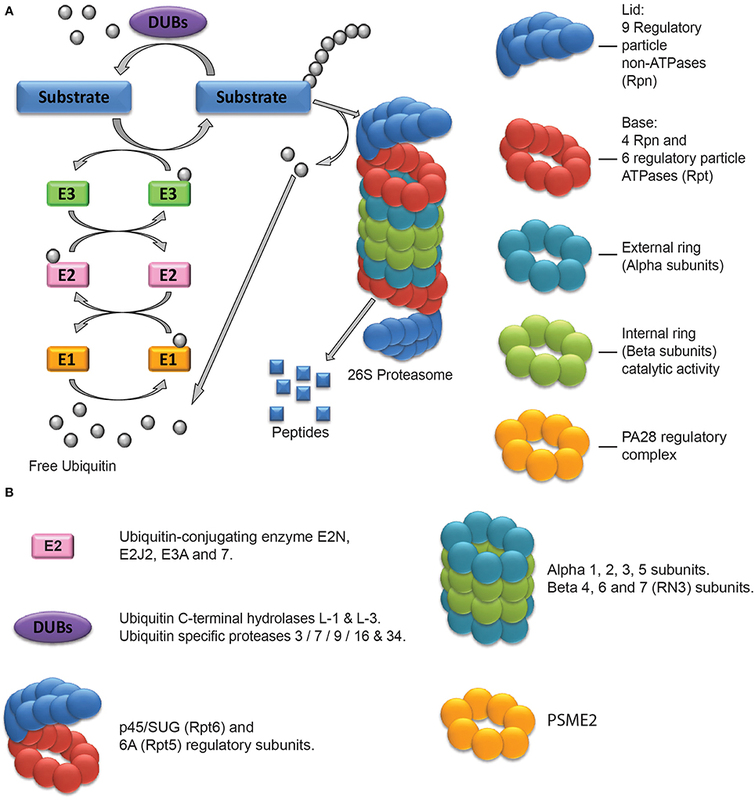 The proteasome controls protein half-lives, function, and the protein composition of the cell. Functional failure of the proteasome has been linked to various biological phenomena including senescence and aging. The role of the proteasome in stem cells aging, however has received little attention to date. Gonos and his coworkers used mesenchymal stem cells from umbilical cord Wharton’s Jelly and human fat. Because they were able to compare the proteasome activity in very young and aged stem cells, Gonos and others discovered a significant age-related decline in proteasome content and activity between these two types of stem cells. The proteasome from Warton’s Jelly mesenchymal stem cells were consistently more active and displayed more normal function and activity than those from human fat. In fact, not only were the protease activities of the proteasomes from the aging stem cells decreased, but they also displayed structural alterations. These differences in proteasomal activity were not only reproducible, but when the proteasome of young stem cells were compromised, the “stemness,” or capacity of the stem cells to act as undifferentiated cells, was negatively affected. Even more surprisingly, once after mesenchymal stem cells from human donors lost their ability to proliferate and act as stem cells (their stemness, that is) their decline could be counteracted by artificially activating their proteasomes. Activating the proteasome seems to help the cell “clean house,” get rid of junk proteins, and rejuvenate themselves. Gonos and his team found that the stem cell-specific protein, Oct4, binds to the promoter region of the genes that encode the β2 and β5 proteasome subunits. Oct4 might very well regulate the expression of these proteasome-specific genes. From this paper, it seems that a better understanding the mechanisms regulating protein turnover in stem cells might bring forth a way to stem cell-based interventions that can improve health during old age and lifespan. This paper was published in Free Radical Biology and Medicine, Volume 103, February 2017, Pages 226–235.